Samsung Electronics’ latest innovation Galaxy Fold has finally been unveiled: a 4.6-inch phone stretching out into a 7.3-inch tablet form for a doubled experience from one device at doubled price - $1,980. The wraps came down on the much-buzzed foldable phone out to set the new standard for a handheld device from the world’s biggest handset maker in San Francisco on Wednesday, whereas the 10th anniversary Galaxy S series got much subdued notice at the same unpacking event. The 4.6-inch compact device with a 4.58-inch cover display rolls out into a 7.3-inch Infinity Display, enabling multitasking as it can open three apps at once. Samsung Electronics places a big bet on the foldable phone as a possible cash cow after 2021, although the key is to bring down the lofty price down to make it more affordable for the broader users. The company envisions the foldable phone to eventually replace its underperforming tablet PC category, give traction to mid-sized OLED market, and eventually widen the gap with Apple in the premium lineup. Shipments of the Galaxy Fold is expected to be 1 million units this year, a fraction compared to the output of nearly 300 million smartphones, but Samsung forecasts its production will increase substantially in the mid and long term once the foldable display leads the premium smartphone pack. The Galaxy Fold’s price is a staggering $1,980, the most expensive phone so far in the market. It will be released in the second quarter - the U.S. on April 26 and in Europe on May 3. 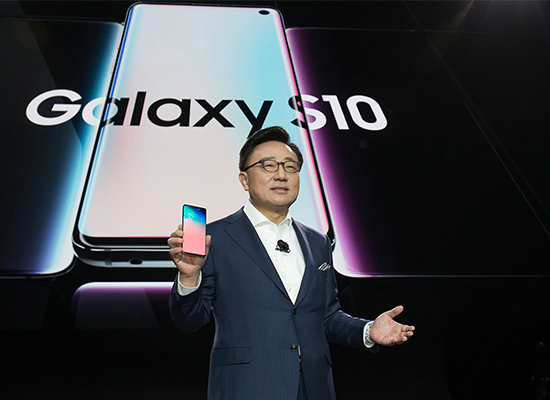 On the same stage, Samsung Electronics unveiled its 10-year anniversary Galaxy S series – Galaxy S10. As already announced, the new series comes in four models – the entry-level model S10e with the smallest 5.8-inch display, S10 with a 6.1-inch screen, S10 Plus with a 6.3-inch display and S10 5G with a 6.7-inch screen. They are fitted with Qualcomm’s ultrasonic-enabled fingerprint sensor on the screen and a display that covers the entire front body except for a small hole for the upper camera. 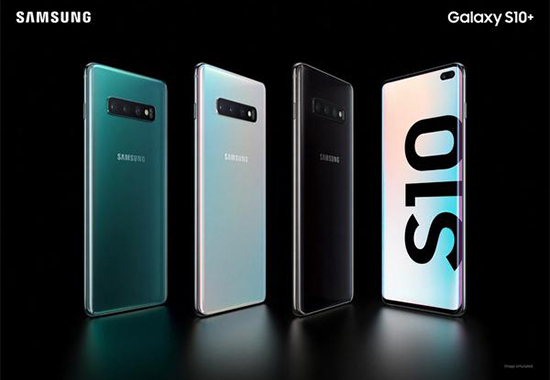 The Galaxy S10e is priced at $750, the S10 at $900 and the S10 Plus at $1,000. The price of the 5G model will be announced later. 1Coupang sales up 65% on year to record revenue in 2018 on widening los..
4S. Korea’s exports in April likely to extend losing streak for 5 strai..